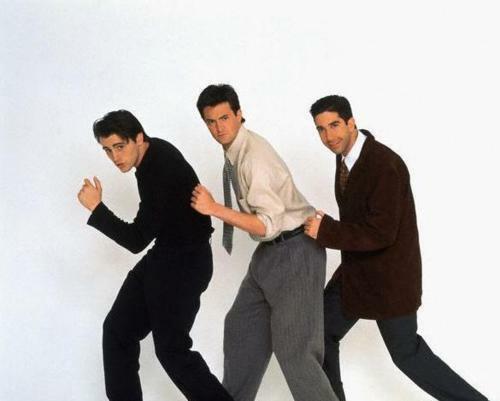 Joey, Chandler & Ross. . Wallpaper and background images in the 프렌즈 club tagged: friends characters tumblr ross chandler joey matthew perry matt leblanc david schwimmer. This 프렌즈 photo contains 신사복, 비즈니스 정장, 옷 한 벌, 한 벌, 옷, 양복, 정장, 잘 입고 사람, 정장, 바지 정장, 잘 차려 입은 사람, 양복, and pantsuit. There might also be 싱글 브레스트 정장, 싱글 브레 슬릿, 단일 브레스트 양복, 핀 스트라이프, 드레스 정장, 전체 드레스, 연미복, 테일 코트, 꼬리, 흰색 넥타이, 흰색 넥타이와 꼬리, 드레스 복, 정장, 꼬리 코트, 흰 넥타이, 흰 넥타이 및 꼬리, 드레스 한 벌, 풀 드레스, tailcoat, 화이트 타이, and 화이트 넥타이 꼬리.